Want to buy a Volvo V90? Autobytel.com has a wealth of automotive information online. Explore Volvo V90 vehicles that are currently for sale or those from the past. See specifications like power figures, fuel economy, and safety ratings. Uncover the true asking price of Volvo V90 vehicles. Go through the critiques from current owners before you buy a Volvo V90 . Or check out what industry car people have to say. There are literally thousands of Volvo V90 automobiles in the Autobytel.com vehicle inventory. Find vehicles available for purchase in your area. Choose a city or use your zip to see local dealer inventory. The bulk of car buyers these days get vehicle information on various websites. Discover all there is to know about Volvo V90 vehicles. An authoritative site like Autobytel contains lots of info. For every vehicle manufactured in the past decade there is plethora of detailed material. Get an intelligent synopsis of the Volvo V90. See which features come stock on the vehicle at Autobytel.com. There is a list of technical specifications that includes data on fuel economy, power output, weight, and the interior and exterior dimensions. Maybe the most important thing you should do before you buy a Volvo V90 is to use the vehicle configurator to see how much each available option will affect the MSRP price. See how well Volvo V90 vehicles stack-up to their rivals. At Autobytel.com you can view multiple vehicles side by side. Another great resource available to the shopper is crash test data from both the IIHS and the NHTSA; these ratings are very important as a vehicle with a good safety rating could one day save your life. A nice selection of pictures are available at the Autobytel website. 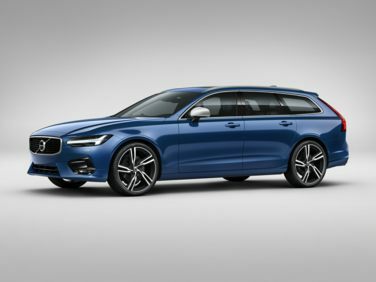 Not only are there Volvo V90 vehicle pictures of the outside; but there are pics of the seats, sound system, navigation, motor, and any other cool features. This will most often be the first place you should go to see the vehicle from different angles. That way when you visit the car dealer lot to buy a Volvo V90; you won’t be taken by surprise if there is an unattractive feature. Be sure to peruse the criticism and analysis from current Volvo V90 auto owners. This is a great way to see the pros and cons of each vehicle as told by regular consumers. Do not buy a new car at the full MSRP price. There are often many incentives offered by either the manufacturer or the dealer that could save you thousands of dollars. There are two types of incentives. The first is a rebate, which is an amount taken directly off the MSRP. The second is a special APR financing rate. Finally see the available inventory of Volvo V90 automobiles for sale in your area. Do not buy a Volvo V90 until you have checked all the available automobiles for sale in your vicinity. Since there may be a better deal just down the road.